Click on the article below to read the whole review. before setting down in Nashville where his rootsy honky-tonk and folk fit easily into the scene that lays beneath the city’s commercial sheen. His years as a busker taught him that gimmicks might stop a passerby, but it’s having something personal to say that will make them stay. That same lesson works well on record as he sings of both his own plights, and those of the audience to whom he’s played face to face. 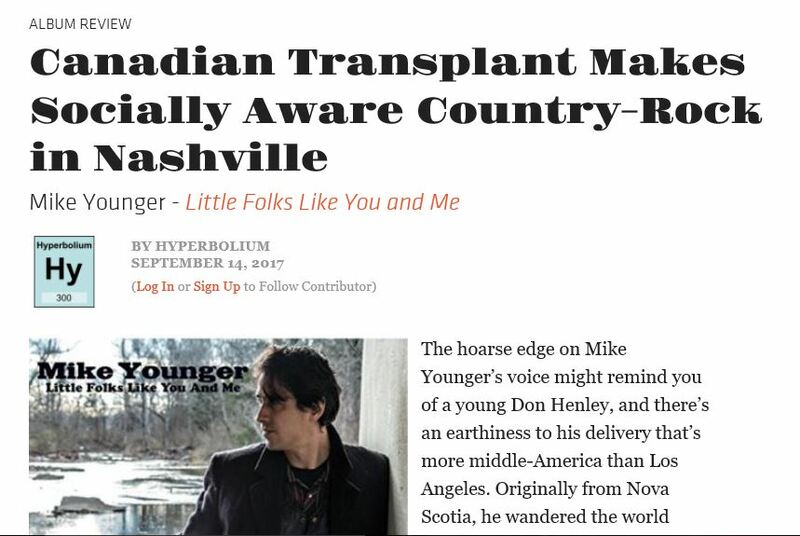 Mike Younger has fashioned a pretty good music career since leaving his native Halifax at the tender age of 17. The early days on the road, singing his songs on street corners, parks and in subway stations from Toronto to Vancouver and beyond for spare change, weren’t easy. But the lean times gave him an appreciation for what’s important in life and music. Now, with several successful recordings under his belt and stints working in Nashville, New York and New Orleans with the likes of Levon Helm, Rodney Crowell, Bob Britt, Jim and Luther Dickinson, Nanci Griffith, and Spooner Oldham, Younger can reflect on those days with some fondness. “I was a lost puppy dog largely surviving on the kindness of strangers,” he said in a phone interview from Nashville just before leaving for Summer Solstice — “kind of a do-it-yourself Woodstock” — which drew close to 6,000 music lovers to a farm in East Tennessee. “In the early days I was an easy mark for predators. I lived by my wits. But it conditioned me to be able to travel and survive anywhere — New York, New Orleans, London . . . It didn’t matter. As a youngster attending Queen Elizabeth High School in Halifax, Younger was “enamored” with learning music and playing his guitar. So much so that he would swing by the Halifax Public Gardens to play on the corner during his school lunch hours, which in turn made it harder to return to class in the afternoon. Often he didn’t, thus the leap into a life of music at 17. 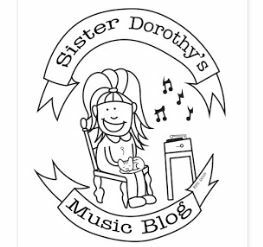 •Know your songs well (he calls it “woodshedding”) so you have something to share. • Look people in the eye and smile; inject some positivity into the moment. • Remember, you’re not owed anything by the public. Sometimes people will just walk by and that can be difficult, but keep going. Now, as he’s fashioning tours to promote his latest album, Little Folks Like You and Me, while raising horses, chickens and bees on a five-acre mini-farm he shares with his girlfriend, that all seems so long ago. It’s not formulaic but rather an expression of his work in music entwined with the environmental and humanitarian world. Songs like If I Was A Wheel and The Living Daylights are homages to the working class struggle, while Never Was A Dancer retells a high school first love. Rodeo Queen is a country-rock foot-stomper, while With Every Heartbeat counters the darkness of songs Drifter’s Lament and What Kind of World. 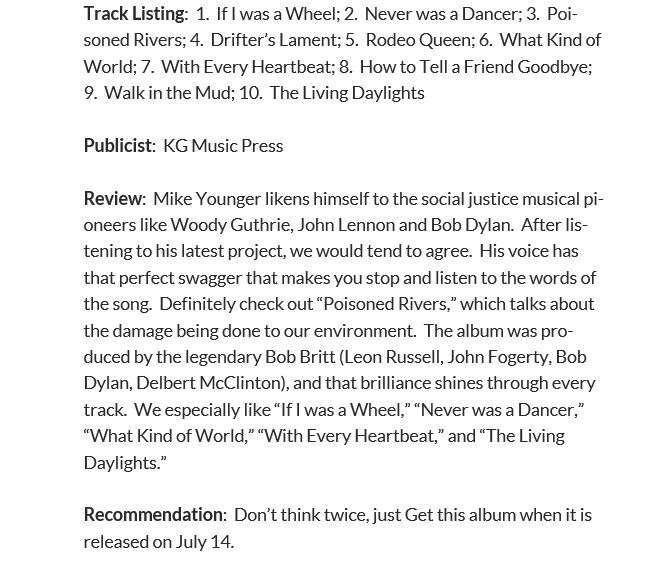 Poisoned Rivers has tones of Woody Guthrie as it calls for solidarity and unity in a culture marred by paralyzing divisions. Younger sees his music as rooted in community affairs and, with the oil and gas industry “in the crosshairs,” the new record carries a message of defiance and coming together in resistance for the protection of that community. At 20, he headed to New York City and joined the thriving music scene there for a while. But his big break came in the mid-90s while he was busking his way along the New Orleans boardwalk, not knowing what was next after a messy divorce. 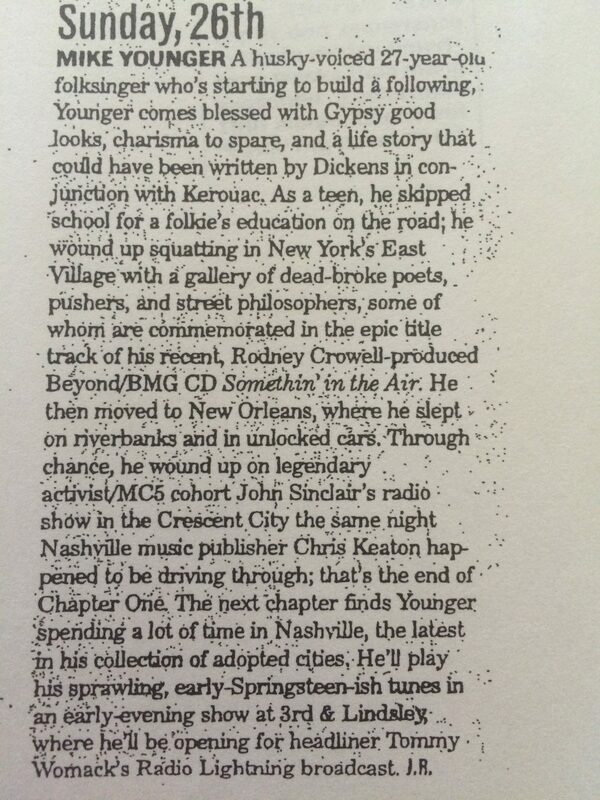 A radio station friend invited him to perform on WWOZ and a record producer who heard him called the station. 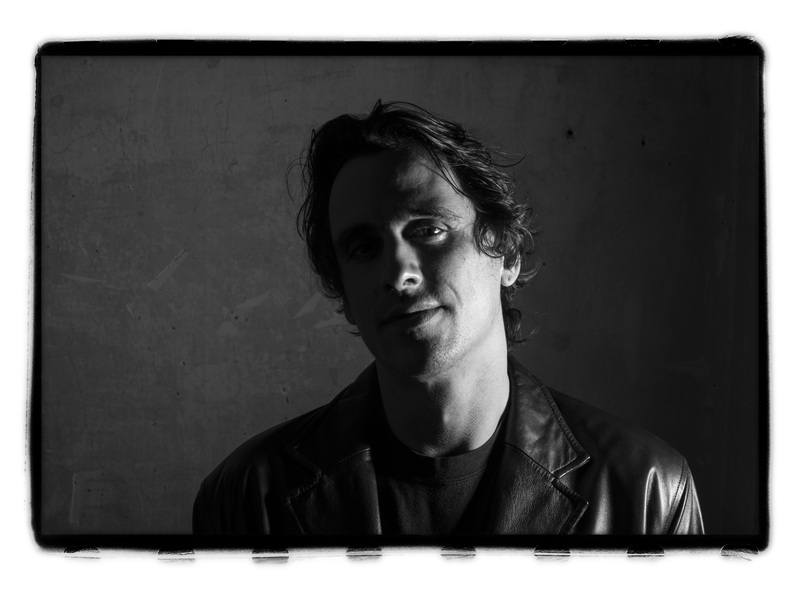 Within a month Younger had his first contract, followed by frequent trips to Nashville to record and perform, resulting in the release in 1999 of his first album, Somethin’ in the Air, with legendary musician Rodney Crowell. 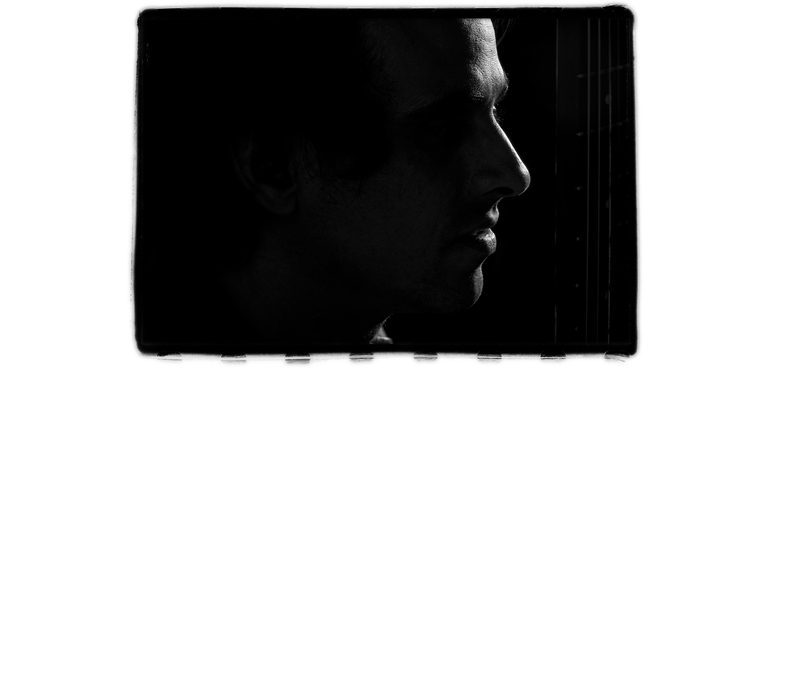 A second album, in 2001, ran into legal issues and was lost to him for more than 15 years. Now recovered, it will be completed and released at a future date, but Younger went on to independently release Every Stone You Throw in 2004, and Hustled By Squares in 2009. With his credits comes credibility. 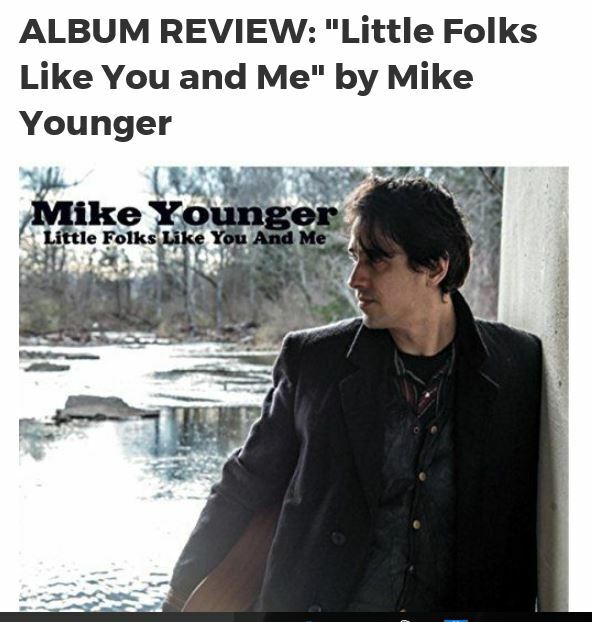 Sound Magazine said he has “an amazing ability to pour out his life experiences through song.” And his rnusical range, heavily influenced by the Beatles’ John Lennon and Guthrie, tinged with folk-rock, R&B and country influences, settles nicely into a broadening band of Americana. Younger, now in his early 40s, has experienced the music industry from every angle as the business strives to hold its own in a digital world. Now, oddly, he sees hope in the threatening antics of U.S. President Donald Trump, which have been a “catalyst for creative energy,” creating resistance and defiance that’s finding its way back into music. But the recording companies have struggled. That means determining how to earn a living can be “a tricky balancing act,” though, he said, musicians will persevere as they always have, seeing their work as part of a greater picture. And Younger is looking at a new destination for his future — one that will take him back to his Nova Scotia roots. A trip back home is planned for November-December to visit his parents, and he’s looking for some venues to play while here. With his adopted home slipping into a new political dark age, he said he may even look for a property here and relocate altogether. “My parents are in Halifax and I have deep ties to the Mi’kmaq community, so we could buy in Nova Scotia,” he said. The music will continue, regardless. Sensitive music that comes directly from the heart. 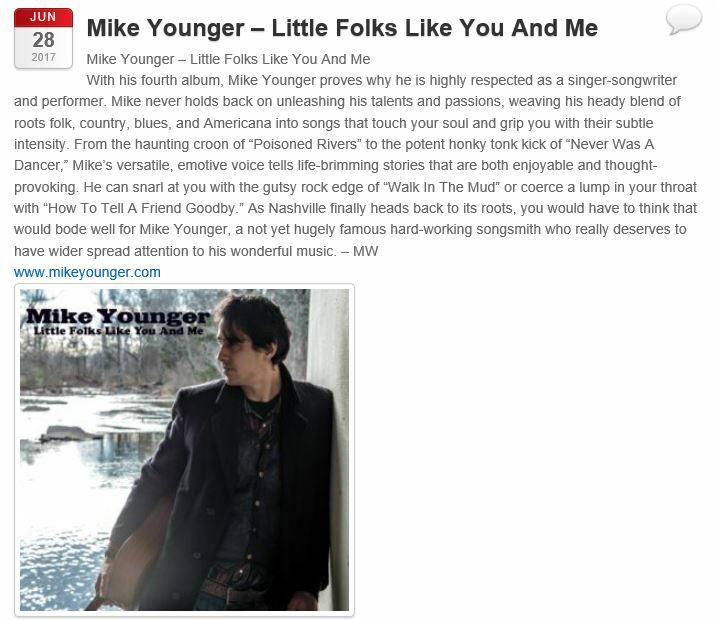 This is how the singer, songwriter and musician MIKE YOUNGER has populated his new album Little Folks Like You And Me. 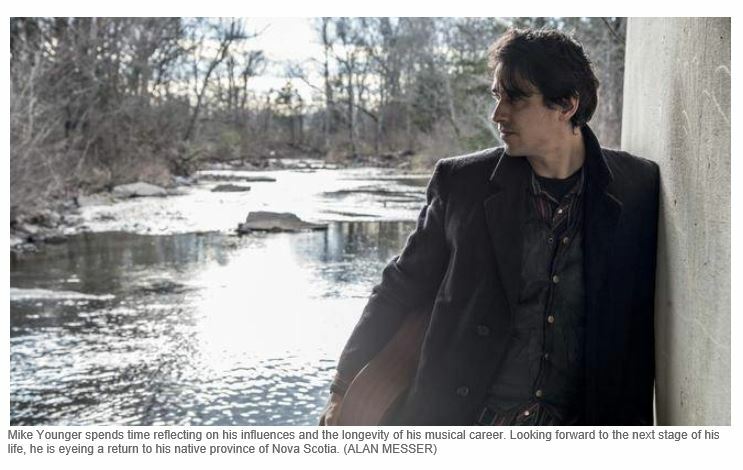 Much of the music from the Canadian-born Halifax, Nova Scotia recalls famous figures such as Bob Dylan, John Hiatt, The Eagles, Delbert McClinton and Rodney Crowell. 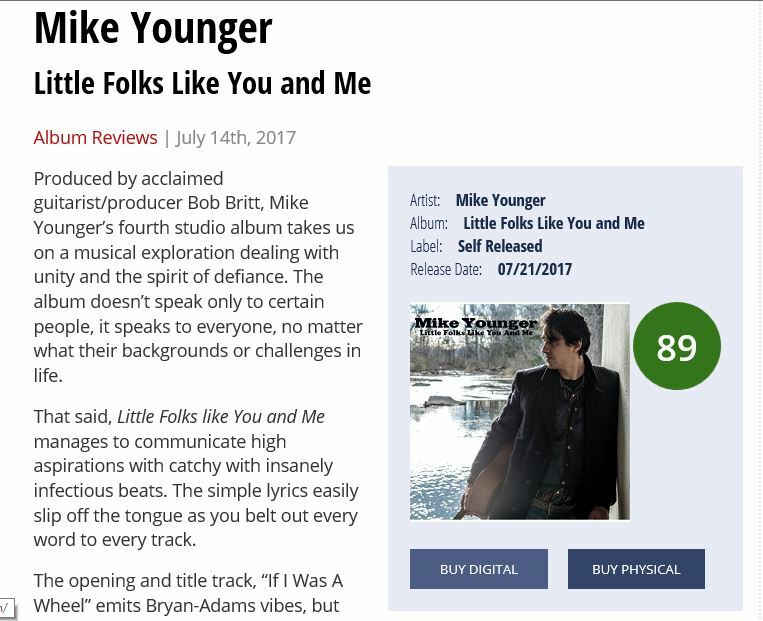 With great singing, excellent songwriter art and catchy melody, Younger shows on the Bob Britt (Leon Russell, John Fogerty) produced work enormous potential. Creative, passionately sung lyrics are sometimes also profoundly intermittent and provocative for closer listening. 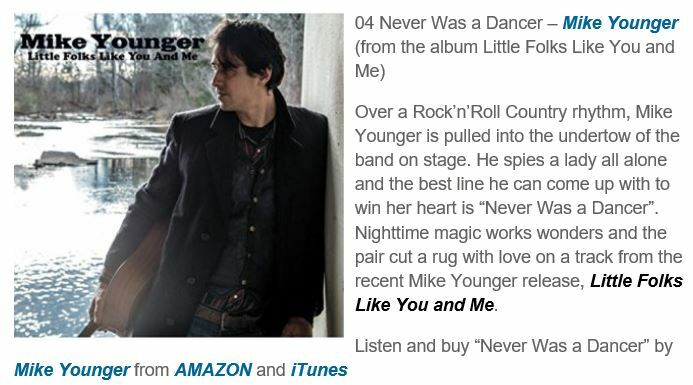 Under his hands rock, country, folk, soul, blues, gospel and Americana unite in a praiseworthy way to a coherent overall picture. Strong! 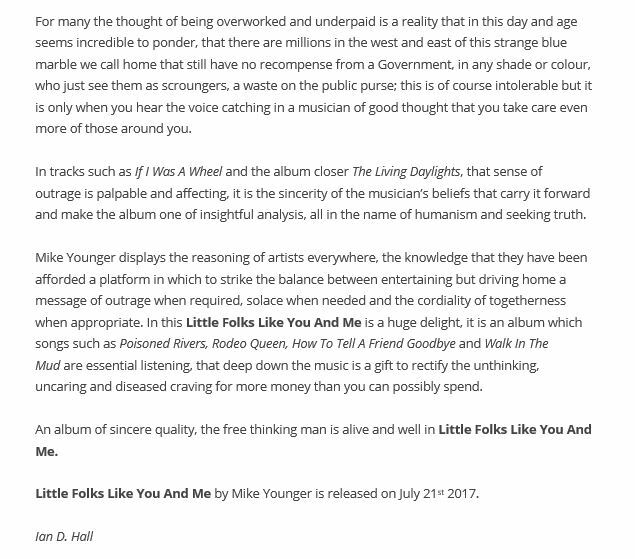 To read The East Nashvillian‘s July/August 2017 featured article on Mike Younger and his upcoming release “Little Folks Like You And Me”, click on the image below. 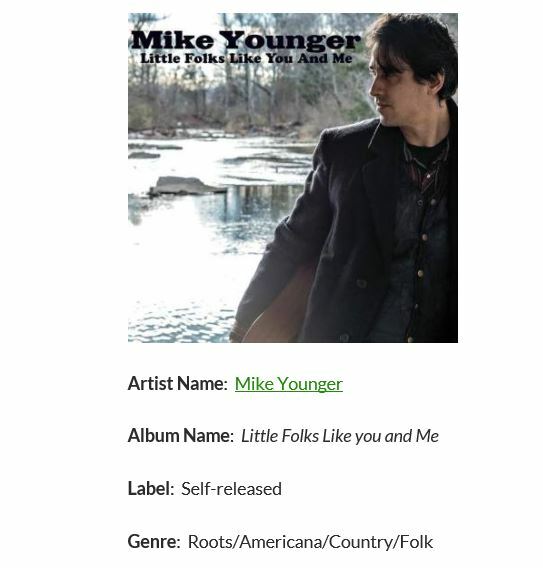 With “Little Folks Like You And Me”, Mike Younger again delivers a very nice steel card of his ability. Under the wings of producer Bob Britt, this time in Nashville, he made a record that, in our opinion, we should be able to throw high eyes especially with fans of the stuff like Delbert McClinton, John Hiatt and Rodney Crowell. Where folk , country , blues , R & B and soul join each other lovingly, there is also the Canadian at home. And that also brings a lot more to his new album. Whether it’s about the seventies referring roots rock of opening number “If I Was A Wheel”, to be the truly injurious R & B jump-in-field “Never Was A Dancer”, to The mile-conscious blues & roots of “Poisoned Rivers”, to remind a very little of JJ Cale and on his own life on the road- looking “Drifter’s Lament”, to the fierce landing “Rodeo Queen”, to make it a sort of Wake up call for his current generation of fellow songwriter “What Kind Of World”, to keep the rootsy rocky “With Every Heartbeat”, to the soulful slow “How To Tell A Friend Goodbye” to make it a little more potent Don Henley in Reminder calling “Walk In The Mud” or the sumptuous and sumptuous “The Living Daylights”, this really boils from the very first to the last second. And that’s a total of seven and forty minutes long. Therefore, we should not think about this too long: we recommend this disc to you! Take advantage of this, we would say so! 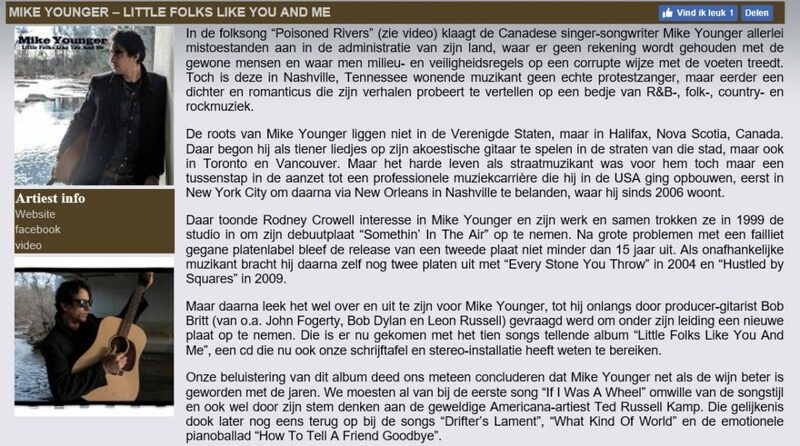 In the folk song “Poisoned Rivers” (see video), the Canadian singer-songwriter Mike Younger complains about all kinds of mistakes in his country’s administration, which does not take into account ordinary people and where environmental and safety rules are corrupt With the feet. 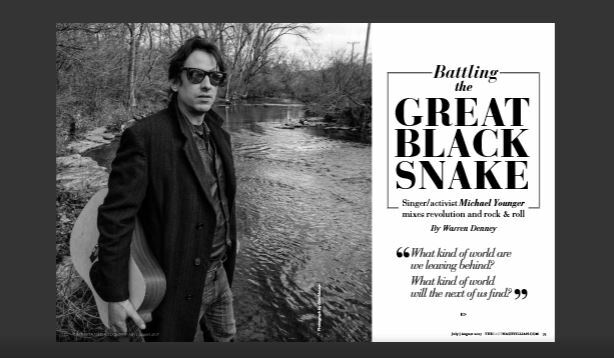 Still, this Nashville-based musician is not a true protest singer, but rather a poet and romanticist who tries to tell his stories on a bed of R & B, folk, country and rock music. 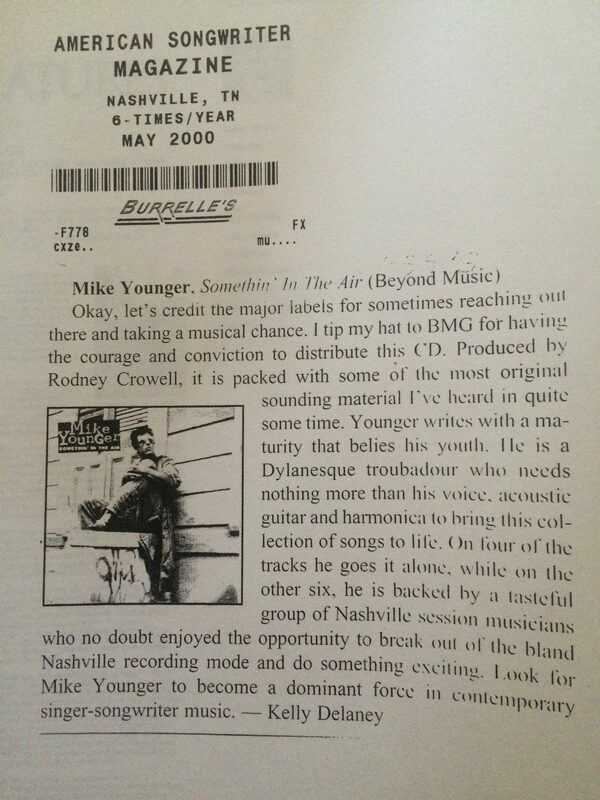 The roots of Mike Younger are not in the United States but in Halifax, Nova Scotia, Canada. There he began to play songs on his acoustic guitar in the streets of that city, but also in Toronto and Vancouver. But his hard life as a street musician was just a step in the middle of a professional music career that he built in the USA, first in New York City, then to New Orleans in Nashville, where he lived since 2006. 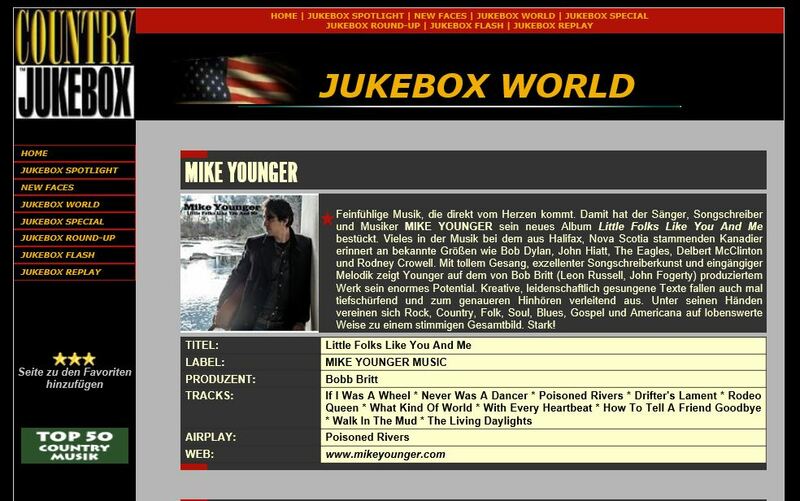 There, Rodney Crowell showed an interest in Mike Younger and his work, and in 1999, they went to the studio to record his debut album Somethin In The Air. After major problems with a bankrupt label label, the release of a second record was no less than 15 years. As an independent musician, he released two albums with “Every Stone You Throw” in 2004 and “Hustled by Squares” in 2009. 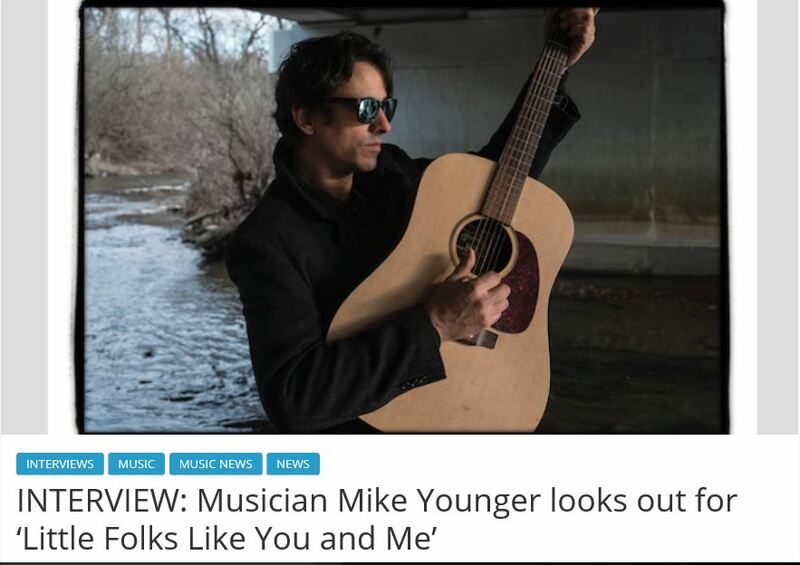 But afterwards, it seemed to be over and over for Mike Younger until recently asked by producer guitarist Bob Britt (including John Fogerty, Bob Dylan and Leon Russell) to take a new record under his leadership. 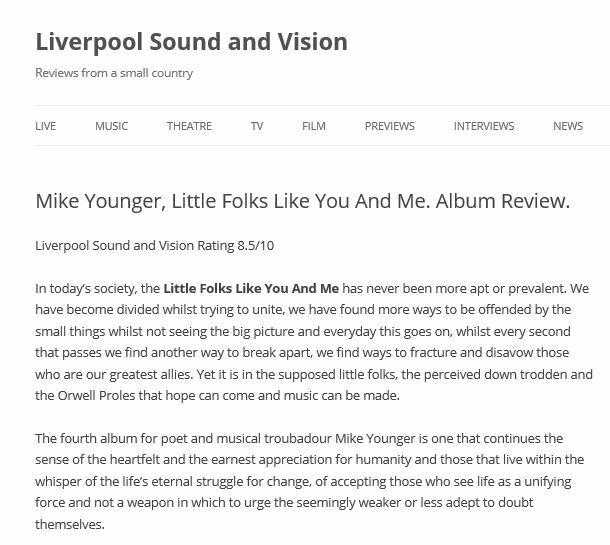 It has now come with the ten-song album “Little Folks Like You And Me”, a CD that has now also reached our writing desk and stereo system. Our listening to this album immediately concluded that Mike Younger, like the wine, has become better over the years. 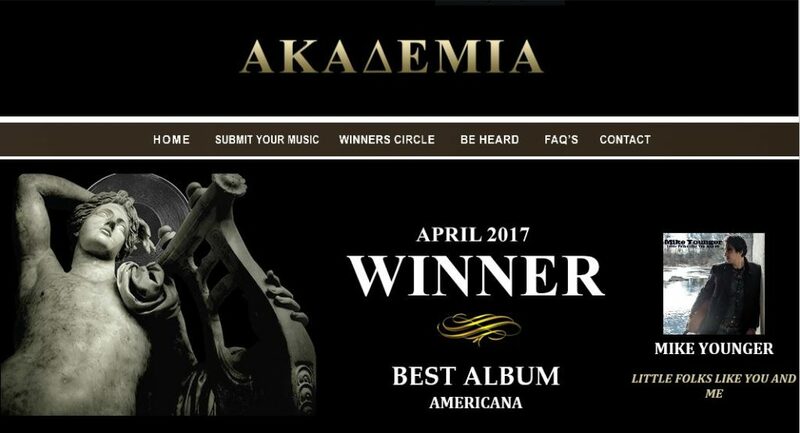 We had to think of the first song “If I Was A Wheel” for the sake of the song style and also to think of the great Americana artist Ted Russell Kamp. That resemblance came back to the songs “Drifter’s Lament”, “What Kind Of World” and the emotional piano ballad “How To Tell A Friend Goodbye”. In the swinging “Never Was A Dancer” he looks back at his teenage time when he had to go dancing during the high school proms to impress the girl he had an eye on, but soon had to get out of luck . Perhaps the countryrock number “Rodeo Queen” is about the same great love. 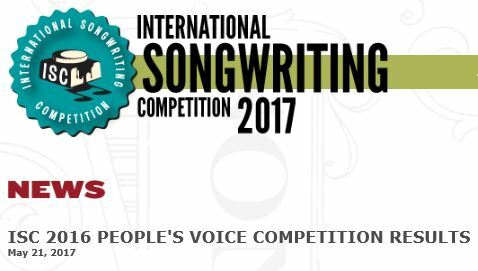 Slotsong “The Living Daylights” is a rock song that would not be missed on the playlist at the performance of John Mellencamp. 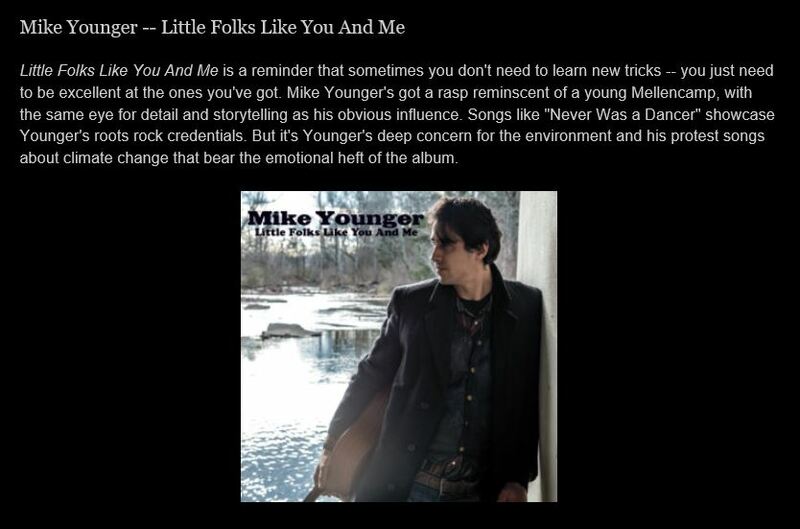 “Little Folks Like You And Me” by Mike Younger is a surprisingly beautiful and entertaining picture of someone we would like to hear more from. 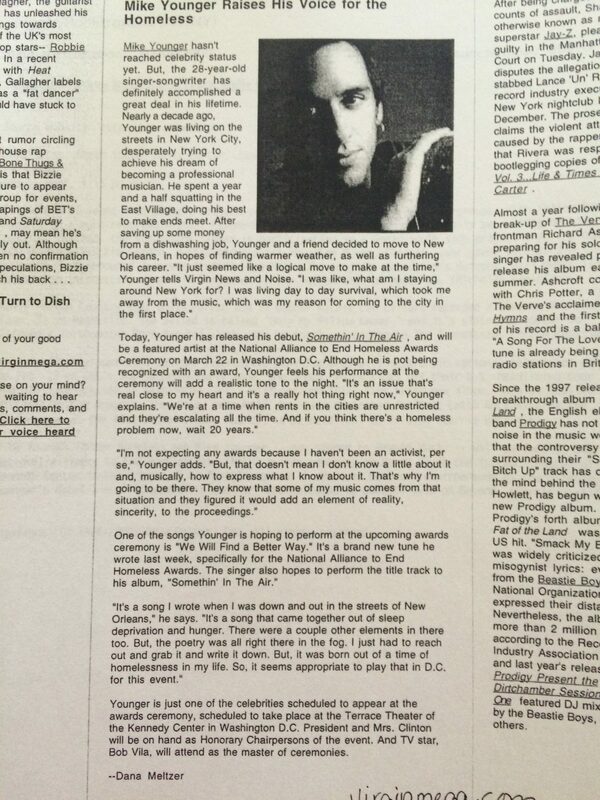 The article below, covering a Middle Tennessee supply caravan to Standing Rock, appeared in The Tennessean on November 4th 2016. Anti-gas compressor activists in Nashville are lending support to their counterparts in North Dakota. Concerned Citizens for a Safe Environment, a group opposed to the Kinder Morgan gas compressor in Joelton, and the Native American Indian Association of Tennessee sent a 28-foot trailer full of supplies to the Standing Rock Sioux camp two weeks ago. 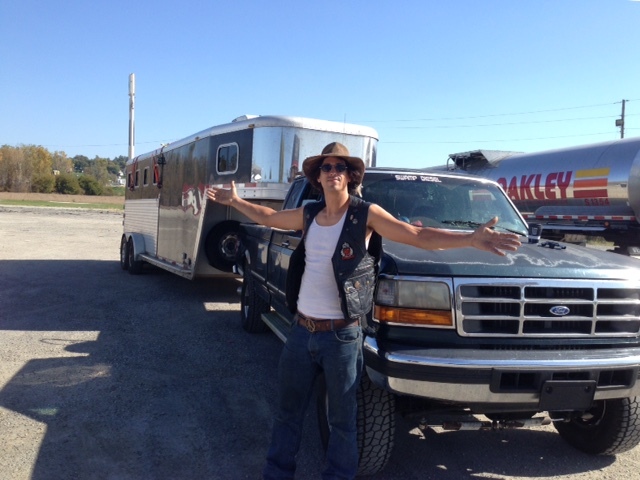 Younger drove the trailer with Charles “Mac” Wilson, president of the Davidson County Council of Community Clubs, and the two stayed at the the camp for a week and a half. Others who contributed supplies include Joelton grocery store Tony’s Foodland, Long Hungry Creek Farm in northeastern Tennessee, Nashville in Solidarity with Standing Rock and horse veterinarian Travis Whitlow of Mt. Juliet. In addition to sending basic supplies used to eat, sleep and keep clean, Tyler Hunter of Tony’s Foodland sent seven live hogs. 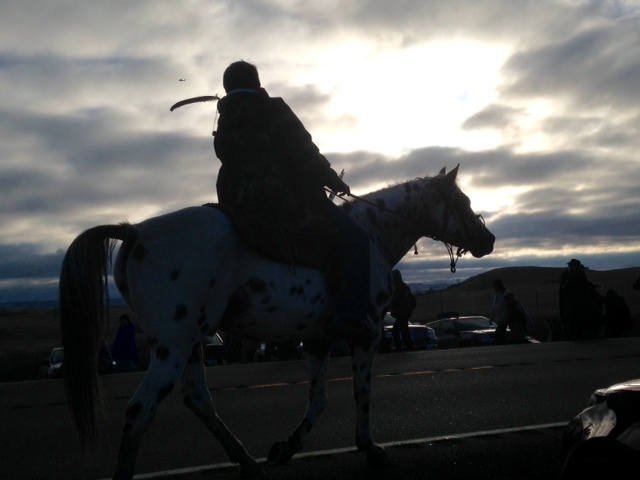 The hogs went to former Standing Rock chief Ron His Horses Thunder, who promised to use them to feed the most vulnerable at the camp. Younger said the two conflicts are intrinsically connected. “It’s an issue where the private issues of a corporation outweigh our constitutional rights,” he said. 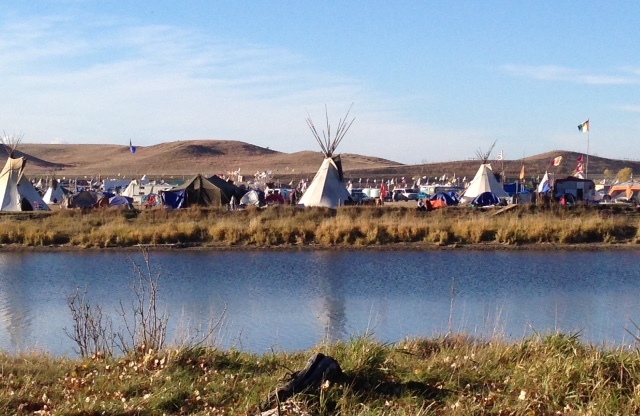 The Standing Rock Sioux, along with hundreds of other tribes and indigenous nations, are protesting the construction of the Dakota Access Pipeline by Texas-based Energy Transfer Partners. The 1,172-mile crude oil pipeline would cross sacred burial sites and pollute the Missouri River, from which the Sioux and millions of others drink should there ever be a leak. The issue garnered national attention when peaceful protesters, including women and children, were assailed by private security guards and then police with stun guns, pepper spray, sound cannons and clubs. The construction, less than a mile away from the reservation, is on land that was part of the Standing Rock Sioux Reservation recognized in a treaty nearly 150 years ago but that has since been taken back. The natural gas and propane company recently came under fire from North Dakota regulators for failing to report the discovery of Native American artifacts during construction. President Barack Obama said Wednesday that the U.S. Army Corps of Engineers is examining whether the project can be rerouted in southern North Dakota to alleviate concerns. Despite efforts by residents and state and local lawmakers in Middle Tennessee, Kinder Morgan has managed to secure a certificate of approval from the Federal Energy Regulatory Commission to build the Joelton compressor station. Opponents argue the compressor station will be physically and financially harmful, saying it could expel toxic gases and leak chemicals into local groundwater. Joelton neighbors are fighting FERC’s decision by requesting a rehearing. “The world is moving away from fossil fuels, but the U.S. has a policy that reflects the stranglehold fossil fuels have on the country,” Younger said of the two clashes. The federal government has pre-emptive jurisdiction over pipelines that run through multiple states, regardless of whether Nashville is willing to host the compressor in Joelton or the other Columbia Pipeline Group compressor project in Cane Ridge, which is awaiting FERC’s approval. According to the U.S. Environmental Protection Agency, 10 million to 25 million gallons of oil are spilled each year. Activists will head to a protest outside the Federal Courthouse on Broadway and Eighth Avenue North at 4:15 p.m. Tuesday after attending a Tennessee Department of Energy and Conservation hearing on the Joelton compressor. 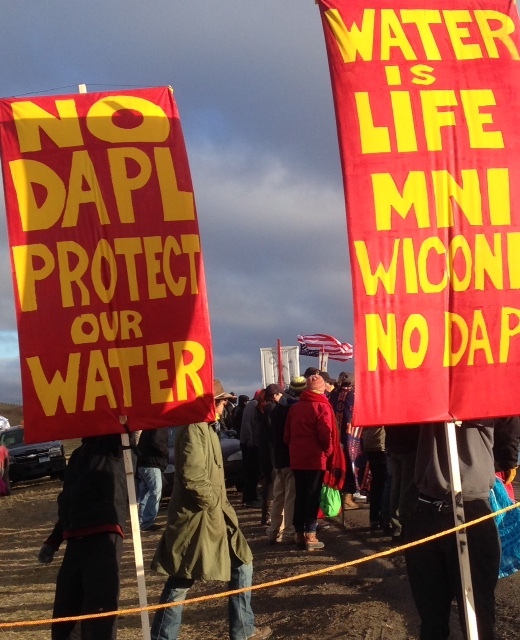 The demonstration is part of a national action day in solidarity with the Standing Rock Sioux. 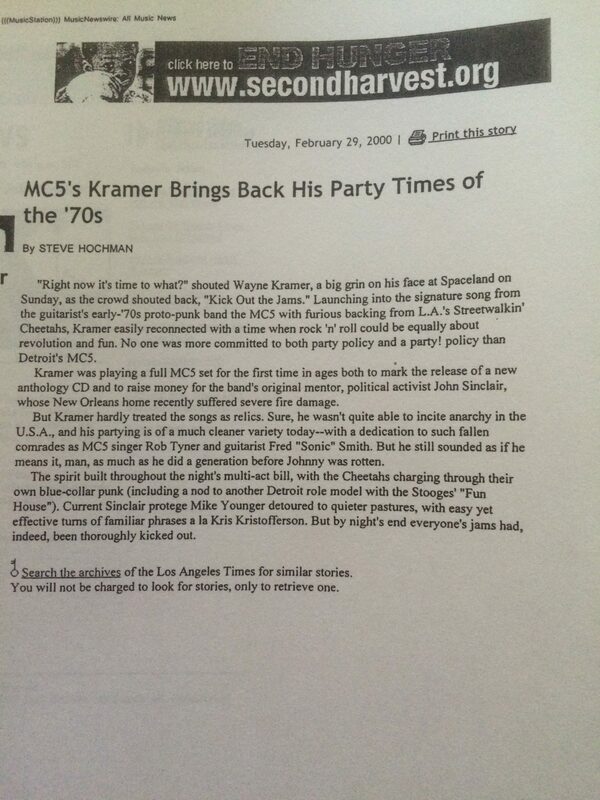 A little blurb comparing Mike Younger to Kris Kristofferson from the LA Times from coverage they did of a Wayne Kramer show with Mike as the opener back in 2000. 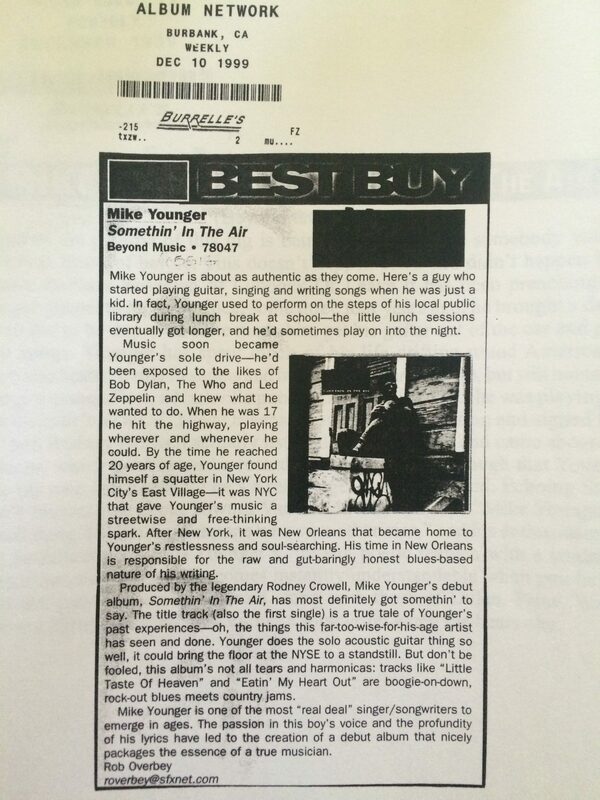 This was a nice piece reviewing “Somethin’ In The Air” in Album Network back in 1999. 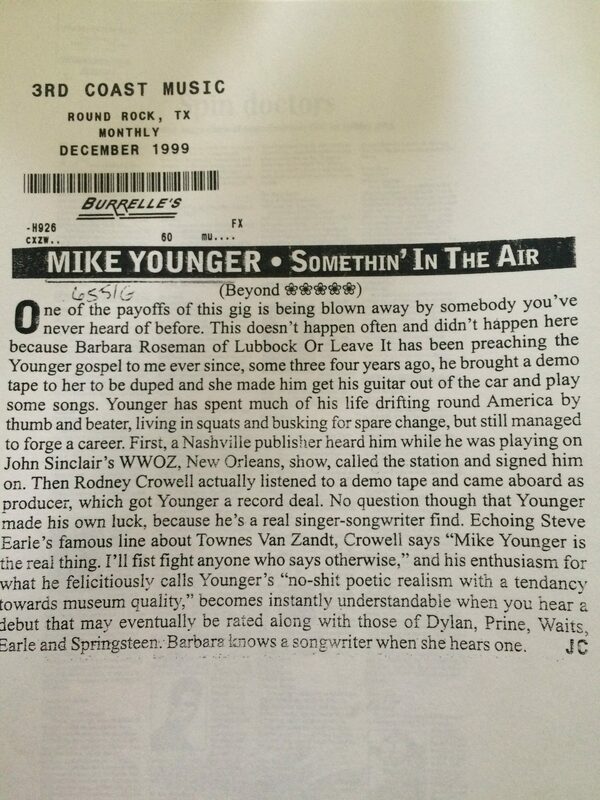 This was a particularly memorable review from 3rd Coast Music back in 1999 when Mike was promoting “Somethin’ In The Air”, produced by Rodney Crowell on Beyond Music.